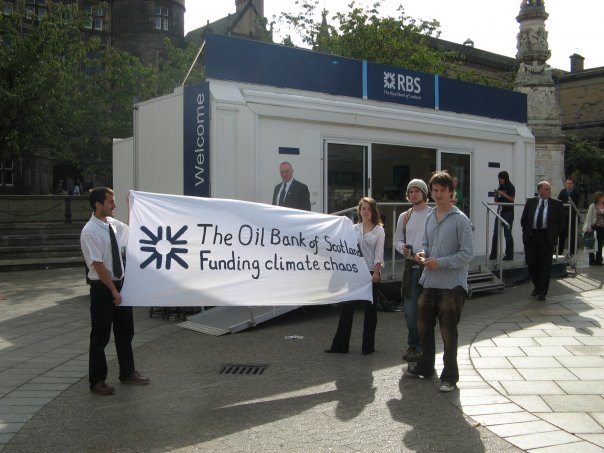 The Royal Bank of Scotland Group (RBS) is a British banking and insurance holding company, based in Edinburgh, Scotland. It was founded in 1727 and is one of the UK's largest banks. RBS has 18.9 million customers and 12 brands. Its main subsidiary companies are The Royal Bank of Scotland, NatWest, Ulster Bank and Coutts. After a massive bailout in 2008, a majority of the bank's shares were purchased by the UK Government. In 2014 RBS embarked on a restructuring process that will see the bank operate mainly in the UK and Ireland by 2019. As part of this process it divested its ownership of Citizens Financial Group, the 13th largest bank in the United States, in 2015. As of 2019 it remains 62,4% UK Government owned, via UK Financial Investments (UKFI). 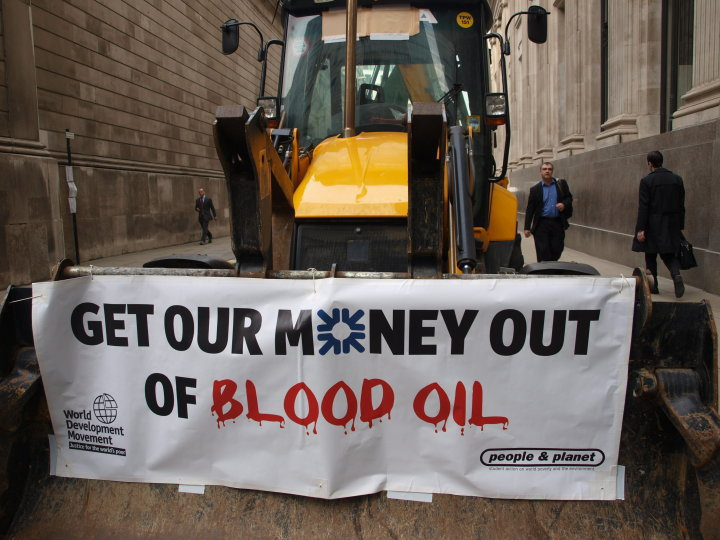 RBS is majority-owned by the UK government since 2008, which currently holds 62.4 % of the shares. 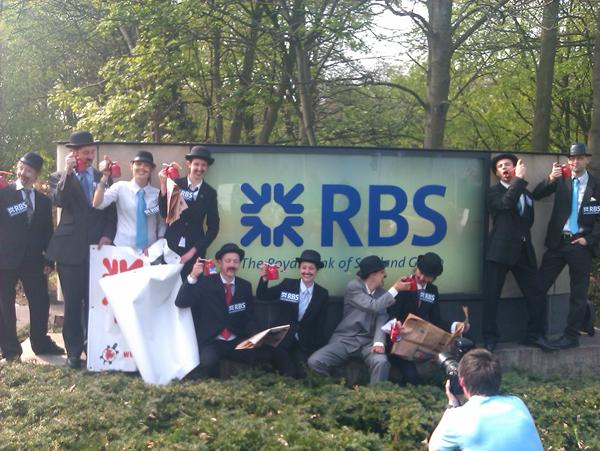 Royal Bank Of Scotland Group (RBS) has been linked to the following "Dodgy Deals", e.g. as a current or past financier or through an expression of interest. Find out more about dodgy deals here. See the project or company profile for more details on the nature of the bank's link to the Dodgy Deal. There are no active projects for Royal Bank of Scotland Group (RBS) now. RBS participated in a Â£27 million corporate loan in March 2007 when Freeport acquired competitor Phelps Dodge for almost Â£16 billion. Through Greenwich Captial Markets; Participation in issuing syndicate led by JP Morgan Chase and Merril Lynch. 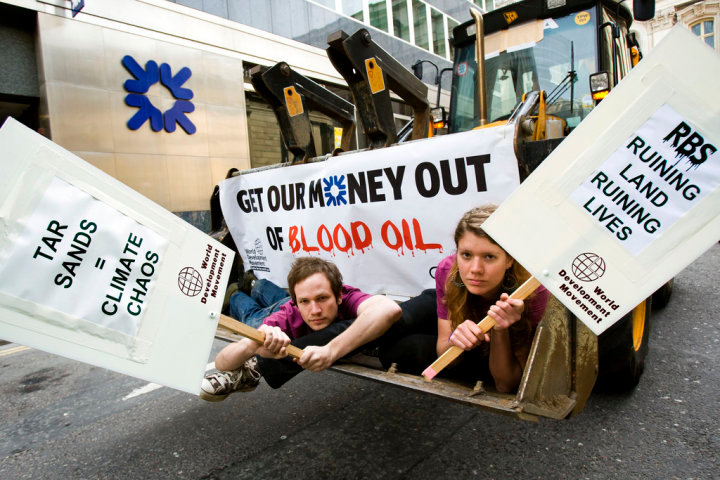 they have provided French energy giant Total with more than Â£300 million in corporate loans since it started exploring tar sands development in Madagascar in 2008. There are no active companies for Royal Bank of Scotland Group (RBS) now. source: Thomson ONE database; Press release, Electricité de France, Paris, 28 May 2008; Press release Electricité de France, Paris, 28 November 2008; Euroweek - Issue: 1083; Press release EDF, Paris, 16 January 2009.
source: Euroweek - Issue 807.
source: Thomson ONE databasePress release, Vattenfall, Stockholm, 25 November 2008; Press release Vattenfall, Stockholm, 5 March 2009; Press release Vattenfall, Stockholm, 1 April 2009; Press release Vattenfall, Stockholm, 6 May 2009; Thomson ONE Banker. 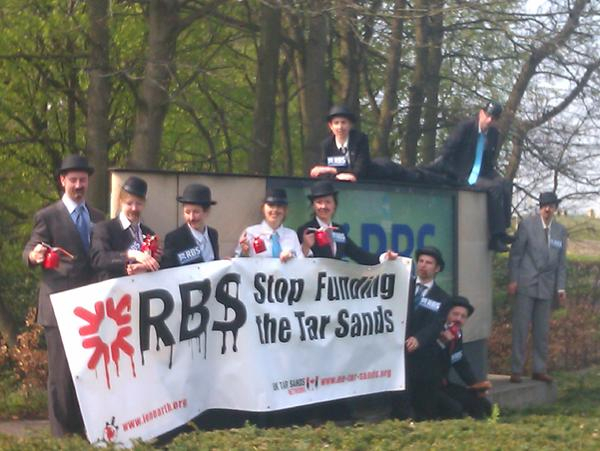 Has RBS stopped financing the tar sands? (Spoiler: No). Is 'Climate Week' inspirational or hypocritical? 2010-05-12 | United Kingdom	| PLATFORM et al. 2009-11-28 00:00:00 | Platform et al. 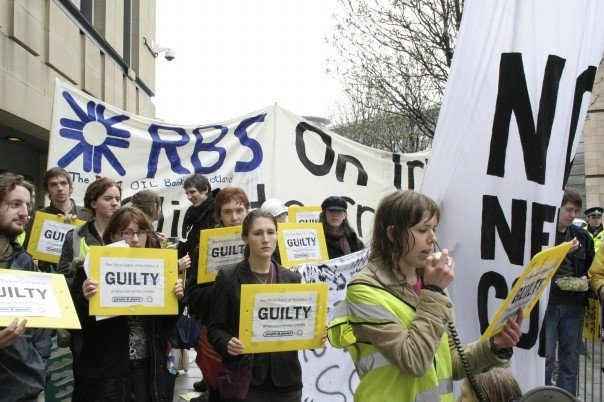 RBS protest tar sand finance - in a song..
2011-02-01 11:57:28 - Poker-face as you've never heard it in a place you've never seen it - how to close the Royal Bank of Scotland with songs and superglue. RBS' web page on corporate social responsibility can be accessed here. The Equator Principles exist already since 2003. 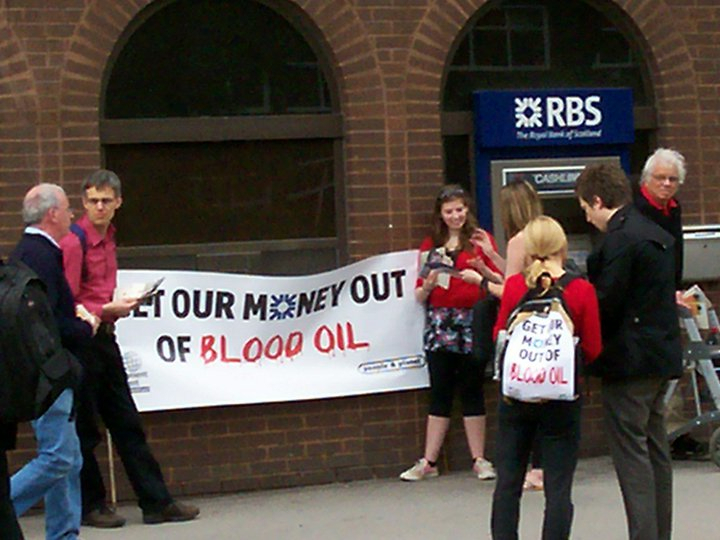 Royal Bank of Scotland Group (RBS) adopted the Equator Principles in 2003. Royal Bank of Scotland Group (RBS) must report annually on its implementation of the Equator Principles. All information is supposed to be found here. Royal Bank of Scotland Group (RBS) is in compliance with its reporting obligations. The 2017 report can be found here. 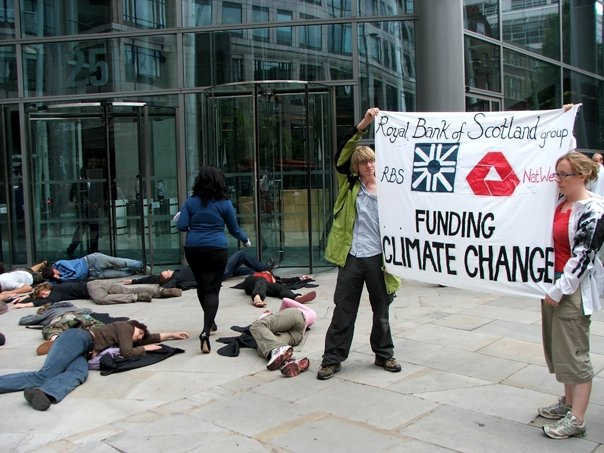 Royal Bank of Scotland Group (RBS) is involved in financing the following Equator Principles projects that BankTrack considers controversial. BankTrack has assessed Royal Bank of Scotland Group (RBS) on its implementation of the UN Guiding Principles on Business and Human Rights in June 2016. Royal Bank of Scotland Group (RBS) is assessed as a Follower, with a total score of 5/12. Royal Bank of Scotland Group (RBS) is reporting on the implementation here.